"Dura" (American Spanish: ; English: "Hot") is a single by Puerto Rican rapper Daddy Yankee from his upcoming studio album El Disco Duro. 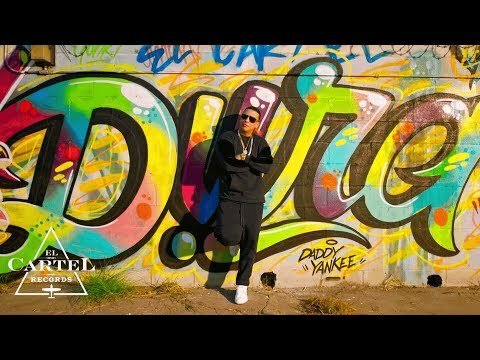 On January 18, 2018, El Cartel Records released "Dura" and its music video, directed by Carlos Pérez, filmed in Los Angeles and based on 1990s style and visuals. The song was written by Daddy Yankee, Juan Rivera, Luis Romero, and Urbani Mota, and was produced by Los Evo Jedis. The single has been described as an uptempo reggaeton track with reggae influences and lyrics about a good looking woman. Commercially, the song topped the charts of 14 countries and reached the top 10 of five others. In the United States, "Dura" peaked at number 43 on the Billboard Hot 100 and at number two on the Hot Latin Songs chart. A remix version featuring Becky G, Bad Bunny and Natti Natasha was released on April 27, 2018. The music video for "Dura" was directed by Puerto Rican director Carlos Pérez. The filming took place in Los Angeles. The director had previously worked with Daddy Yankee on clips including "Gasolina" (2004), "Rompe" (2005), and "Despacito" (2017). According to a press release by Spanish news agency EFE, the clip "tries to project over the top fashion images, an individualistic dance style and beautiful and sincere personalities." EFE stated that, as the video progresses, it "becomes a wake-up call for women to reclaim their space on the dance floor and within society itself." Daddy Yankee stated on an Instagram post that "they wanted to use the bright colors that predominated the 80s and early 90s. Alongside the stylist and the director we wanted to recreate that era and also search the contrast with today's style trends." The visual premiered through Daddy Yankee's YouTube account on January 18, 2018, where it has over 1 billion views.